Hysterical. 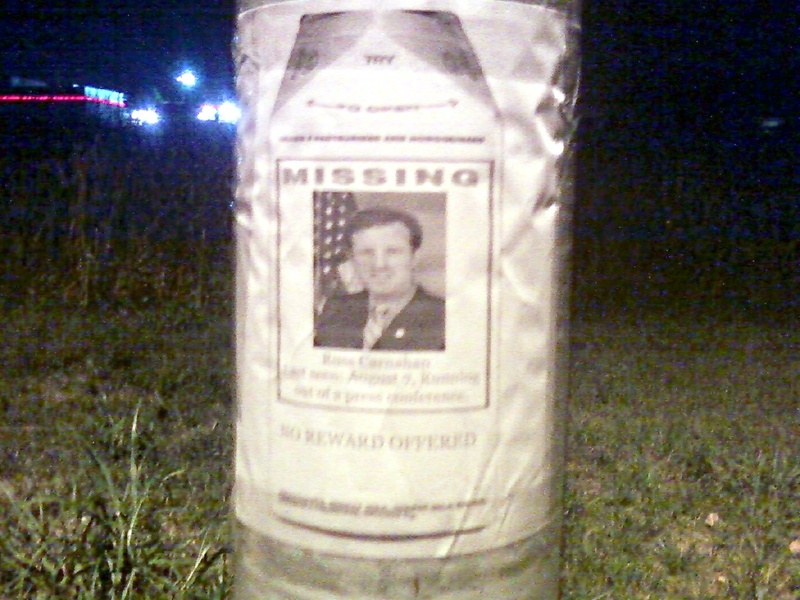 It appears to be Russ Carnahan’s face on a milk carton, and while the bottom says “no reward offered” I can only assume that constituents – concerned for their congressman who has kept a low profile lately after one PR disaster after another (Cash for Clunkers presser, townhall, secret presser) – are inquiring as to his whereabouts during a time when he should be meeting with them. Maybe he’s just on vacation again. *Update: It’s not just in Missouri, either. This entry was posted in Awesome, missouri by Dana Loesch. Bookmark the permalink.